iCeMS Adjunct PI Hiroshi Kageyama, who is also a professor of the Department of Engineering, received the Inoue Prize for Science 2018. 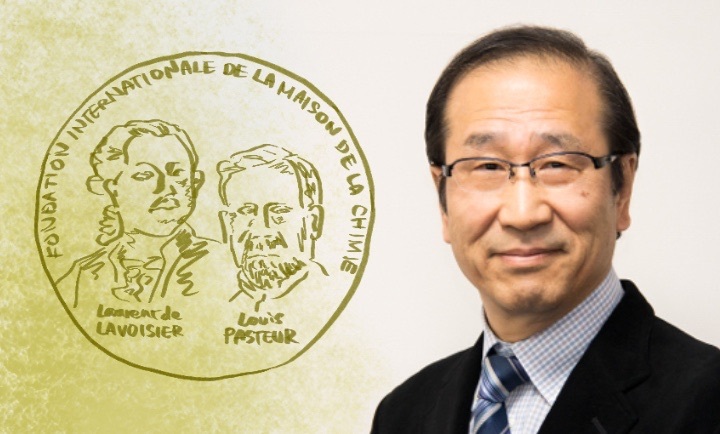 This prize has been given out by Inoue Foundation for Science every year since 1984, to researchers who have made outstanding achievements in fundamental researches on natural science. Past winners include Prof Shigefumi Mori, the Fields Medal winner, and Prof Shinya Yamanaka, the Nobel Prize Laureate. Kageyama was acknowledged for his success in developing new materials categorized in oxyhydrides, and finding out their innovative chemical and physical functions that the characteristics of hydride anion (H-) causes. The winners received the certification and a gold medal at the ceremony held in Tokyo on February 4.